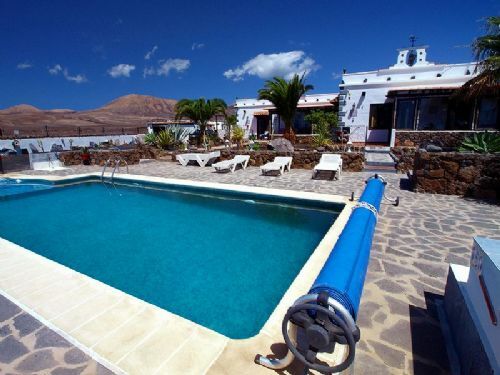 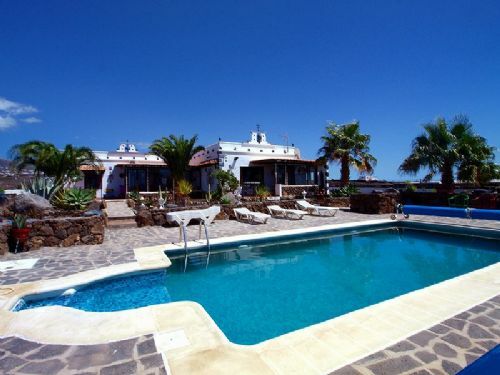 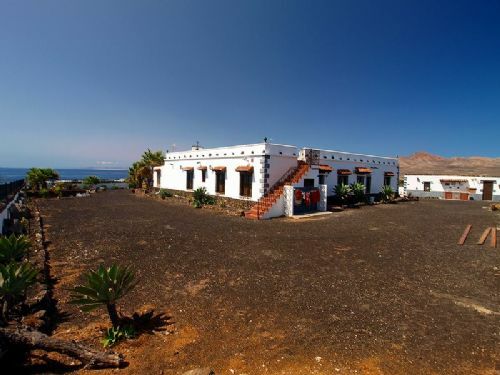 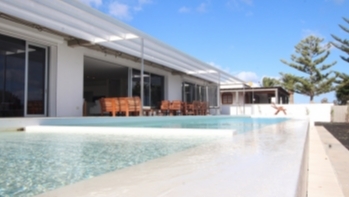 5 bedroom villa in between Macher and Puerto Calero with heated pool, on a big plot of land and panoramic sea views for sale. 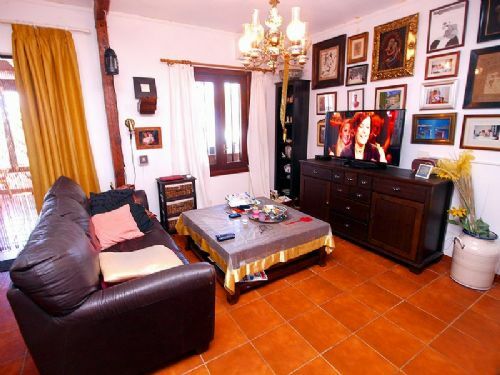 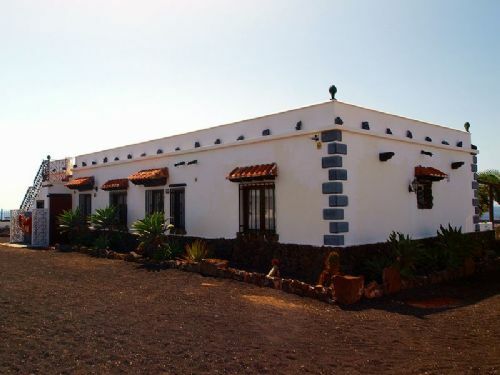 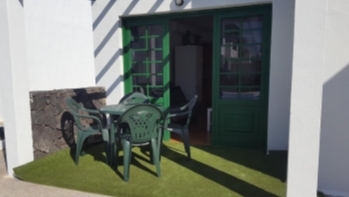 This finca style house consists of 5 spacious bedrooms with built in wardrobes of which the master boasts an en-suite bathroom, another family bathroom, a shower room, 2 good sized living rooms, one with a fitted kitchen, another separate kitchen, 1 office and an utility room with washing machine. 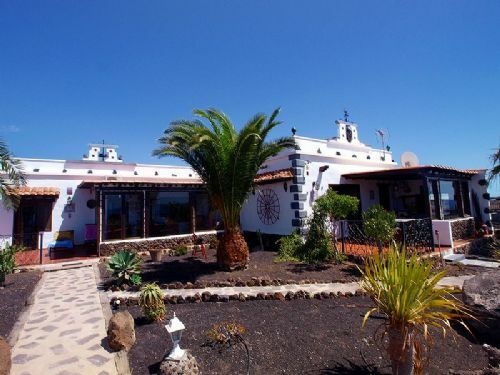 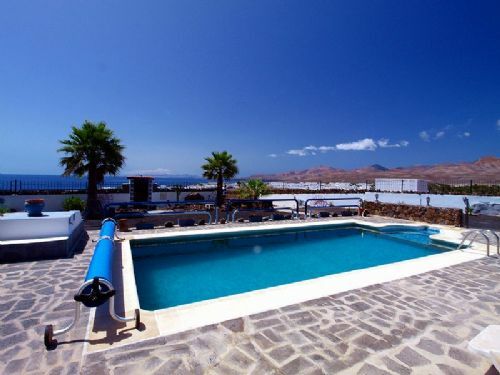 There are lots of traditional features such as wooden beams, doors, windows and finishings throughout the house, and there is a large roof terrace from which you have the most stunning views over to Puerto Calero and the sea. 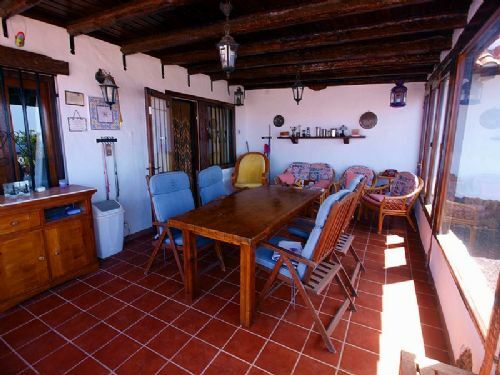 The house has a large sun terrace from which you are having equally beautiful views. 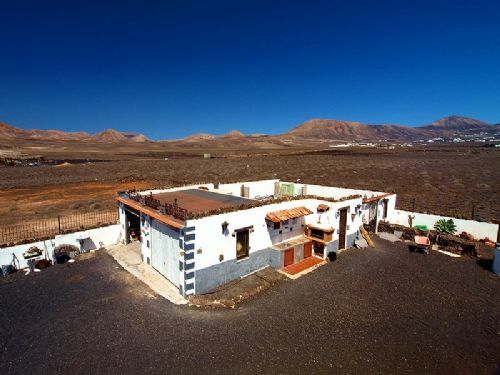 The property is built on a very large plot of land with a walled plot surrounding the house. 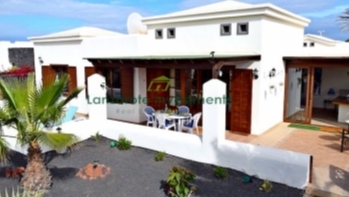 This house could be split easily to make two if not even 3 dwellings. 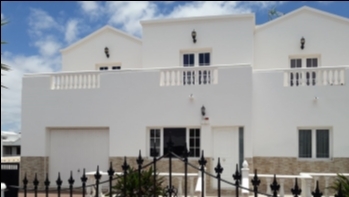 There is private gate leading up a drive way to a large garage which is completely separate from the house.